You are currently browsing the tag archive for the ‘Asclepius’ tag. The rod of Asclepius—a serpent coiled around a staff–is a symbol from ancient Greek mythology which represents the physician’s art. 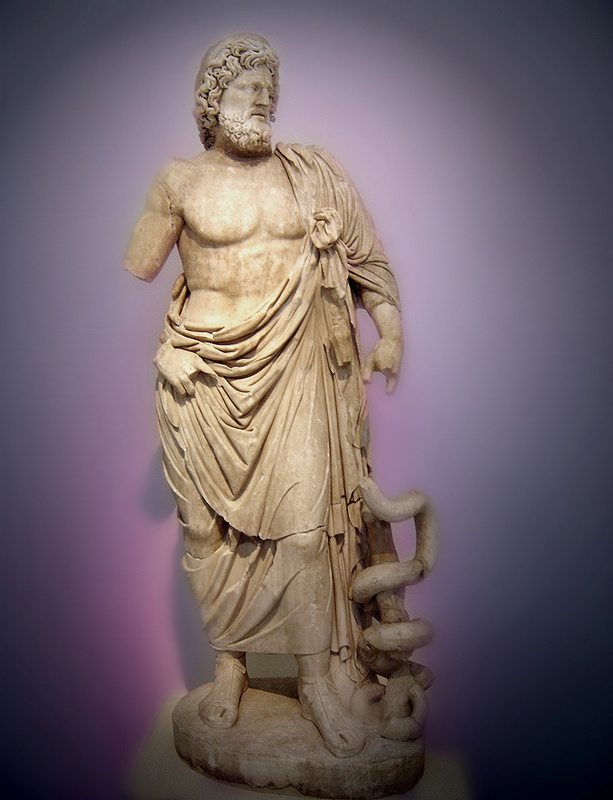 Asclepius was a demigod who surpassed all other gods and mortals at the practice of medicine. Because his skills blurred the distinction between mortality and godhood, Asclepius was destroyed by Zeus (an exciting & troubling story which you can find here). There are several proposed reasons that a staff wrapped by a snake is the symbol of the god of medicine. In some myths, Asclepius received his medical skills from the whispering of serpents (who knew the secrets of healing and revitalization because of their ability to shed their skin and emerge bigger and healthier). Some classicists believe the snake represents the duality of medicine—which can heal or harm depending on the dosage and the circumstance. Yet others see the serpent as an auger from the gods. Whatever the case, the rod of Asclepius is a lovely and distinctive symbol of medicine and has been since ancient times. Temples to Asclepius were constructed across the Greco-Roman world and served as hospitals of a sort. The serpent-twined rod of the great doctor was displayed at these institutions and became a symbol for western doctors who followed. However there is a painfully apt misunderstanding between the rod of Asclepius and a similar symbol. Greek mythology featured a separate and entirely distinct symbolic rod wrapped with snakes, the caduceus—which has two snakes and is winged. 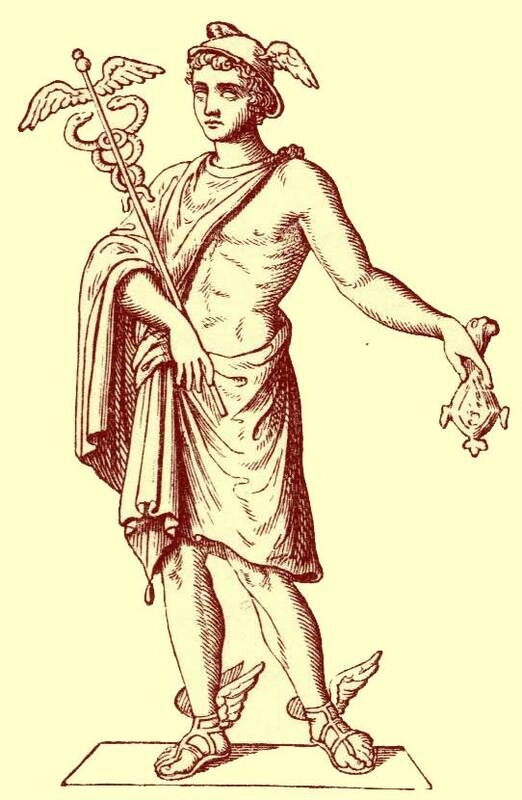 The caduceus was carried by Hermes/Mercury, the god of merchants, thieves, messengers, and tricksters. Hermes used the rod to beguile mortals or to touch the eyes of the dead and lead them to the underworld. In the United States the two rods have become confused because of a military mix-up in the early twentieth century (when a stubborn medical officer refused to listen to his subordinates and ordered the caduceus to be adopted as the symbol of the U.S. Medical Corps). Since then the caduceus has been extensively used by healthcare organizations in the United States and has come to replace the staff of Asclepius in the majority of uses. Commercial and for-profit medical organizations are particularly inclined to use the caduceus instead of the rod of Asclepius as the former is more visually arresting (although academic and professional medical organizations tend to use the staff of Asclepius). To recap: the caduceus, which symbolizes profit-seeking, theft, and death, has replaced the staff of Asclepius, an ancient symbol of healing, throughout the United States. Of course it is up to the reader to decide whether this is a painful misunderstanding, or a wholly appropriate representation of the actual nature of the broken American healthcare system. 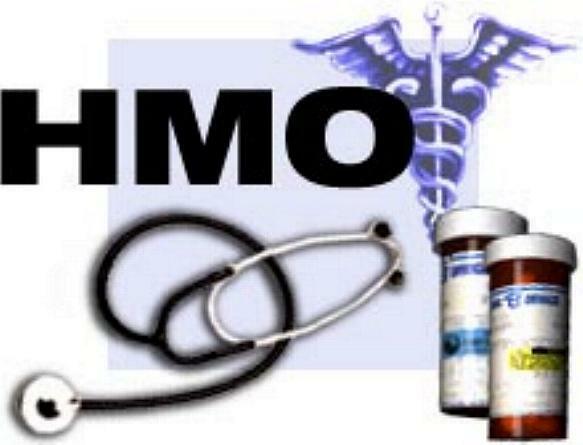 HMOs, insurance companies, and hospitals, however have started to take note and are moving towards crosses and random computer generated bric-brac for their logos, leaving both ancient symbols behind. In Greek mythology, Apollo was the god of healing (as well as the god of light, poetry, music, and sundry other good things). Yet Apollo was surpassed as a healer by his son the demigod Asclepius. Asclepius should be one of the most exalted figures in classical mythology, yet his story is ambiguous and troubling (which is perhaps a more fitting tribute to the complexity and heartache of the healers’ arts). The mother of Asclepius was a mortal woman, Coronis, who cheated on Apollo with a mortal lover. When a crow reported to Apollo that Coronis was unfaithful, the sun god disbelieved the fowl and he turned all crows from white to black and gave them discordant voices. Yet the story rankled the god’s heart. When he investigated the rumor and found it to be true, Apollo killed Coronis with one of his terrible arrows. 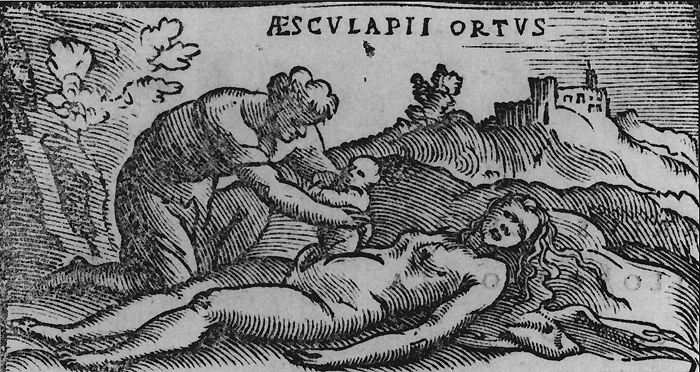 As she writhed in death agony, he slit her open to rescue the son she bore (hence Asclepius’ name means “to cut open”). Apollo then granted crows cleverness beyond other birds to make up for his anger. Like many other demigods, Asclepius was raised and tutored by the centaur Chiron, a matchless teacher. Soon the pupil surpassed the student and it was rumored that snakes licked Asclepius’ ears and taught him secret knowledge (to the Greeks snakes were sacred beings of wisdom, healing, and resurrection). 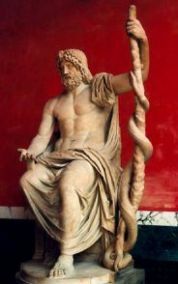 Asclepius bore a rod wreathed with a snake, which became associated with healing. To this day a species of pan-Mediterranean serpent, the Aesculapian Snake (Zamenis longissimus) are named for the demigod. Being the greatest healer in the world brought wealth and fame to Asclepius, who had many successful children, each of whom was named after some aspect of the medical craft (Hygiene, Panacea, Recuperation, etc…), but his success became his undoing. When he left Chiron, the centaur had given him two vials of blood—one from the left side and one from the right side of a gorgon. The blood from the left side was a fatal poison which caused ultimate agony (as Chiron himself experienced firsthand at his anguished destruction). The blood from the gorgon’s left side was a miraculous elixir which could bring the dead back to life. Asclepius began to accept gold to revive the dead and he drew the baleful attention of Hades. Afraid that the decisions of the gods would cease to hold terror for mortal kind, Hades begged his brother to make a final end of Asclepius. Zeus was in full agreement and he burned Asclepius to a cinder by casting a lightning bolt at him. Apollo was furious at the death of his son (and the extinction of the apex of medical art). Not daring to strike Zeus, Apollo killed the Cyclops who has fashioned the lightning bolt, an act which led Zeus to banish Apollo to the mortal realm for a year (during which time the god designed the walls of Troy). When his term was served, Apollo joyously rejoined the other Olympians. Different traditions interpret the story’s end differently. 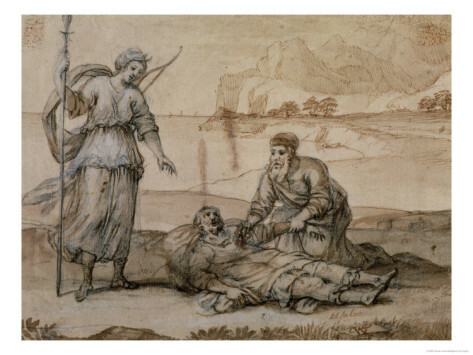 In happier versions, Zeus and Hades bring Asclepius’ spirit to Olympus to act as god of healing forever. 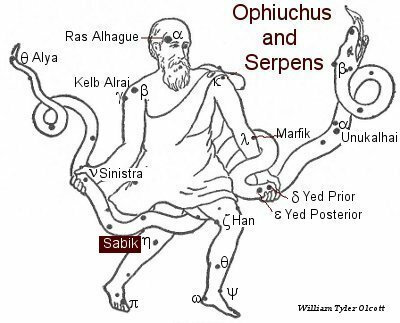 In other versions Apollo and Zeus hang the image of Asclepius in the heavens as the constellation Opiuchus, “the Snake Bearer” both to remind humankind of the physician’s greatness and to warn them to eschew seeking immortality.